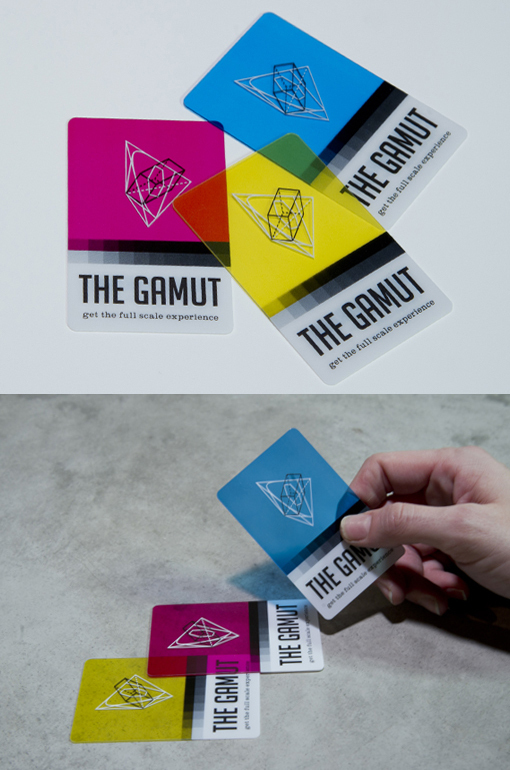 THE GAMUT represents the full scale experience: print to web, 2D to 3D, CMYK to RGB. As certified color lovers, we wanted to create a business card that reflected playfulness, interaction and the vibrancy found in the basic color palettes. Printed on transparent plastic, these CMYK colored cards can be overlapped to create a whole new spectrum... the RGB! Print + web.